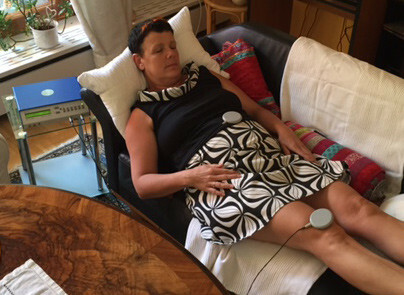 This high frequency-cell-resonance-therapy is based on frequencies and regulation. Different influences can lead to blockage and irritation of the flow of cellular information. When the self-healing mechanism can no longer successfully organize the flow of cellular information, illness on physical or psychological levels occur. 150 MHZ is the resonance frequency of the DNA. Through field therapy, the cells become more powerful and can return to their original healthy state. It is not until cells with incorrect information are regulated that self-healing starts to occur. The negative information in the cell's memory loses power. During field therapy, it is also easier to connect to your subconscious. Healing on all levels will occur through understanding the root causes and subsequently opening a new path for cellular information.